SENSUS metering systems utilize state-of-the-art computer aided engineering and diagnostic equipment to design and produce gas metering products to meet the uncompromising demands of today’s gas industry. This special balance of quality philosophy, attitude, dedicated workers and modern equipment assures that quality and performance have been skillfully designed into every product. 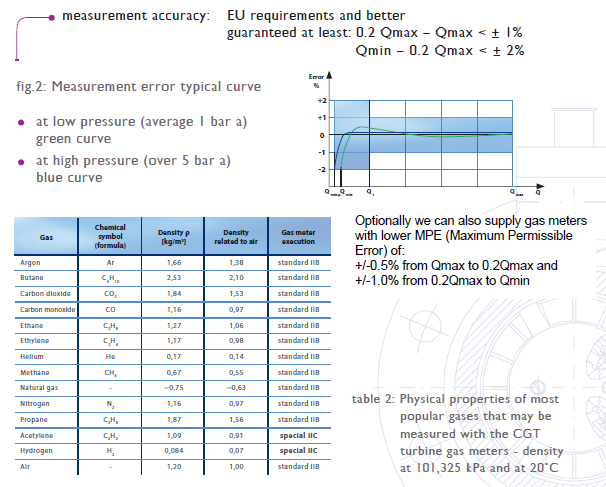 In SENSUS’ advanced proving room, every metering product is inspected and proved to be accurate. SENSUS products are built with reputation founded on years of experience earned by the pride and skills of dedicated professionals and backed by sophisticated Quality Assurance instrumentation used at critical points throughout the manufacturing process. 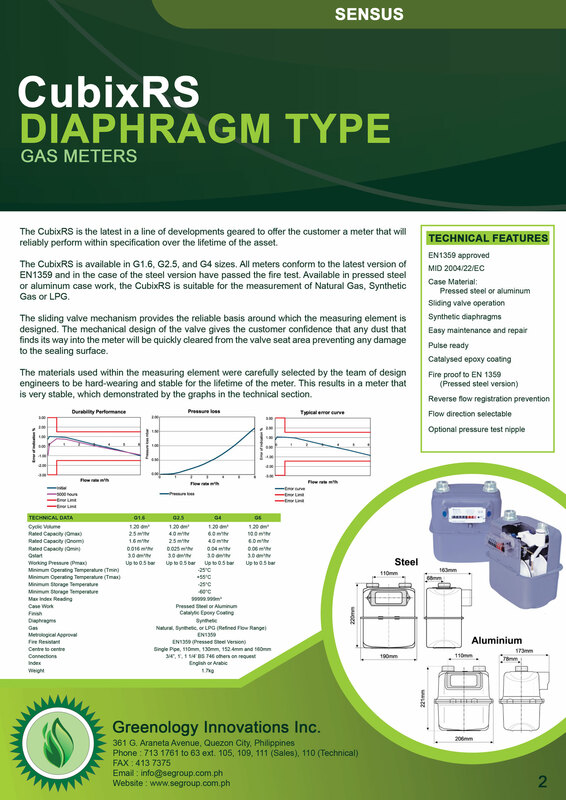 The CubixRS is the latest in a line of developments geared to offer the customer a meter that will reliably perform within specification over the lifetime of the asset. The CubixRS is available in G1.6, G2.5, G4 and G6 sizes. 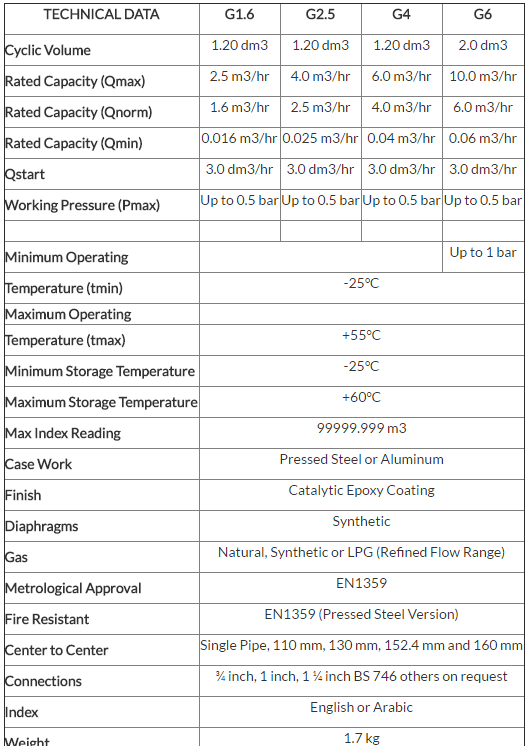 All meters conform to the latest version of EN1359 and in the case of the steel version have passed the fire test. Available in pressed steel or Aluminum case work the CubixRS is suitable for the measurement of natural gas, synthetic gas, or LPG. The sliding valve mechanism provides the reliable basis around which the measuring element is designed. The mechanical design of the valve gives the customer confidence that any dust that finds its way into the meter will be quickly cleared from the valve seat area, preventing any damage to the seating surface. 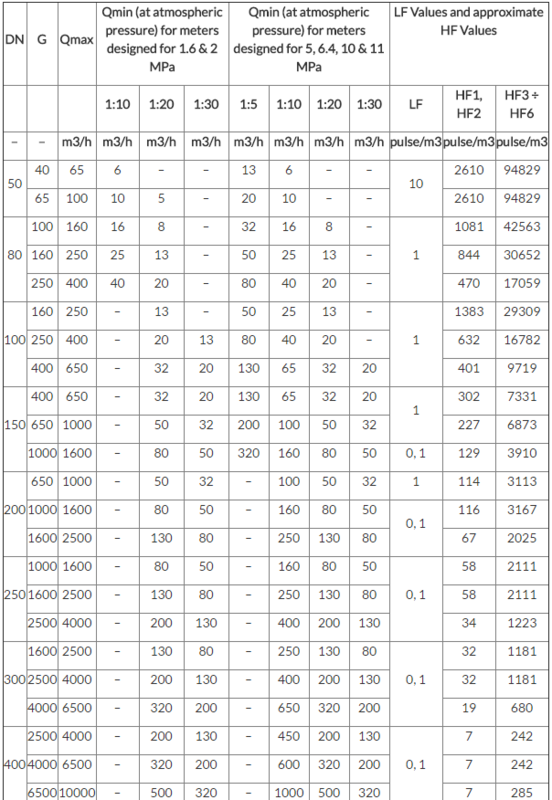 In addition, all CubixRS meters are supplied-pulse enabled. This means that should remote reading of meter dial be required this is possible by simply adapting a telemetry device to the meter. CubixRS meters can be used for residential and small commercial applications. 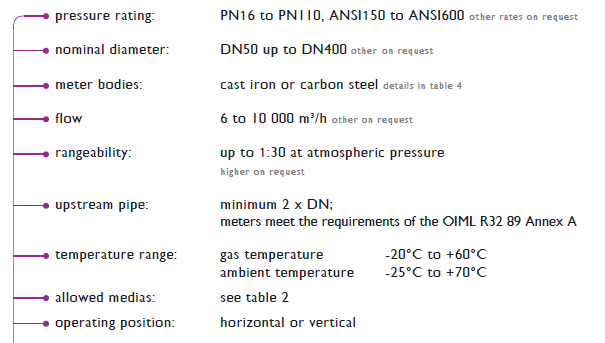 The turbine gas meter measures the quantity of gas basing on the flow principle. The gas flows through an integrated flow conditioner, which distributes the flow proportionally in the annular slot and guides it to the turbine wheel. The wheel is driven by the gas flow, and the angular velocity of the rotation is proportional to the gas flow rate. 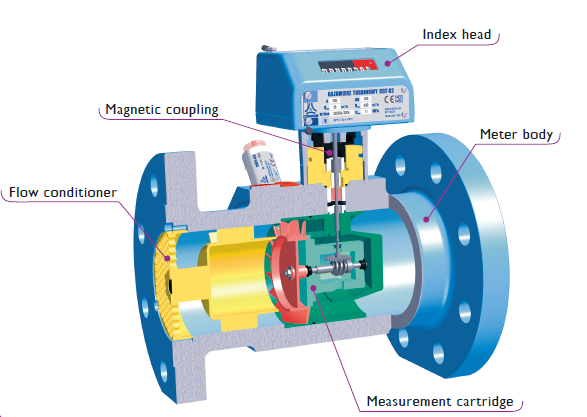 The energy consumption, perceived as pressure loss, is reduced due to the application of the flow conditioner, highest precision ball bearings, most accurate tolerances of all measuring parts and their proper alignment. The rotary motion of the turbine wheel is transferred mechanically by gear wheels, and the incorporated gas tight and hermetic magnetic coupling, to the index unit, which is mounted on the top of the body, and shows the operating volume on the totalizer. The turbine wheel, as a standard is made of aluminum. 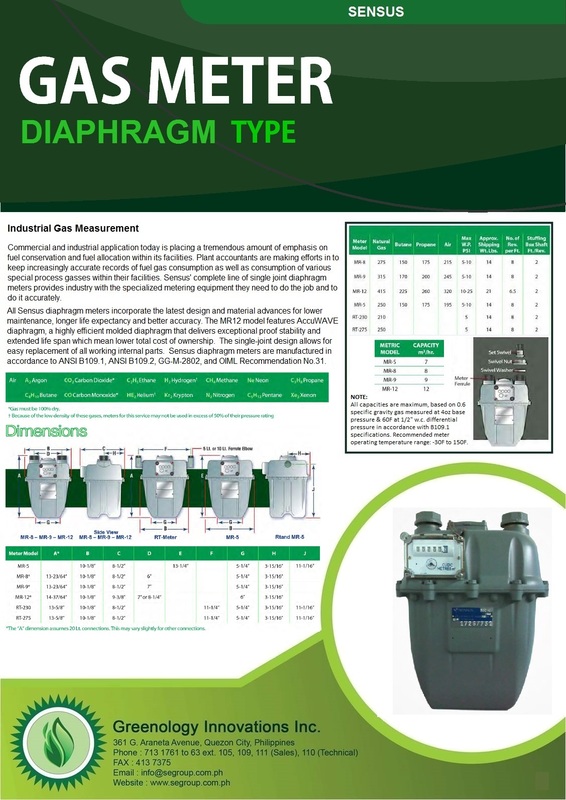 This allows providing each CGT turbine gas meters with HF inductive pulse sensors. There are no extra costs due to the replacement of the turbine wheel.